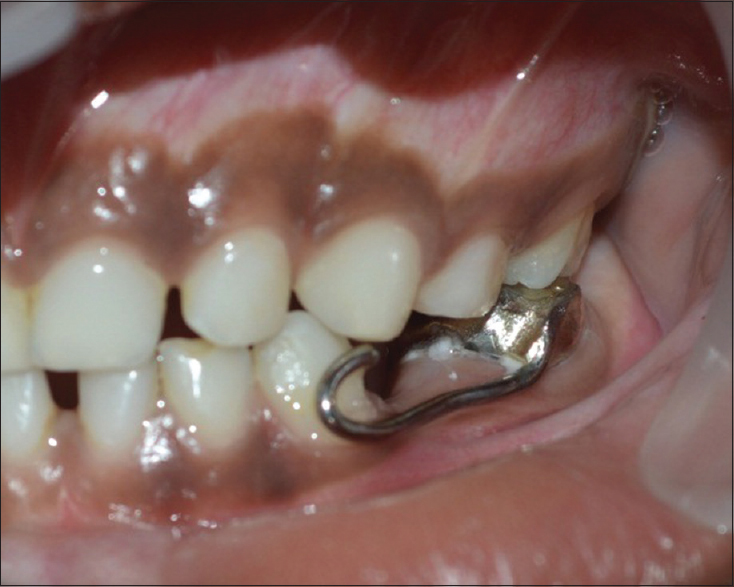 Arch integrity is an ideal requisite for proper occlusion of the permanent dentition. Transition of primary to secondary dentition is always a critical determinant, and timely management of malocclusion is the need of the hour. Premature loss of tooth leads to loss of arch circumference, crowding, drifting of the adjacent tooth, impaction of the succedaneous tooth, midline shift, and subsequent impairment of function. 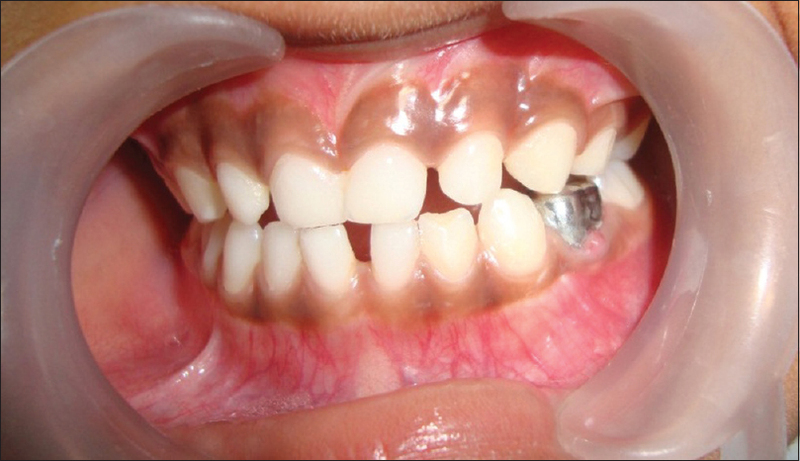 Space maintainers are used when there is a premature loss of primary teeth. The most conventional one in use is band and loop space maintainer. When the clinical scenario does not satisfy the requirements, there are modifications done to the band and loop space maintainer. 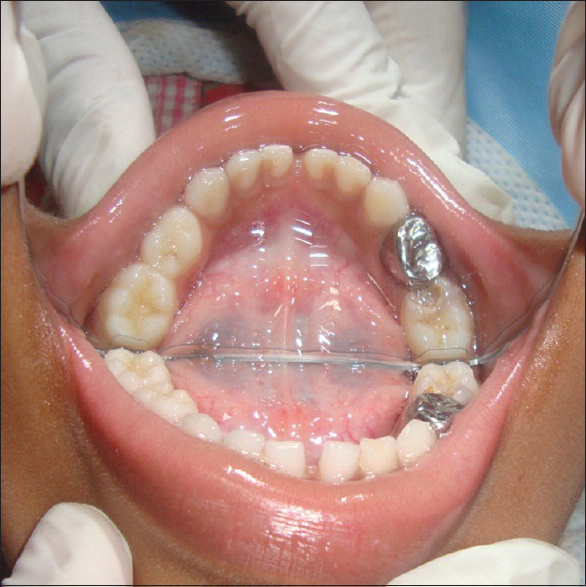 In this case report, a crown and loop space maintainer is done with a single loop on the buccal side, known as the Mayne's space maintainer. When the loop is going to be a restriction for the eruption of the permanent tooth. A 6-year-old male child reported to the Department of Pedodontics and Preventive Dentistry with pain in the left lower back tooth region for the past 1 week. The patient was well nourished and well coordinated. On clinical examination, the patient had stainless steel crown in 74 and an abscess in relation to it [Figure 1], [Figure 2], [Figure 3]. There was deep dental caries in 75. The other findings were pit and fissure caries in 55 and 65. A radiovisio graph (RVG) examination of 74 and 75 was taken [Figure 4]. The RVG revealed a stainless steel crown in relation to 74 with furcation involvement evident of periapical abscess. The radiograph also revealed dental caries involving pulp in 75. The treatment plan included extraction of 74, pulpectomy in 75 followed by crown and loop space maintainer in relation to 75, and Type IX class ionomer restoration in 55 and 65. 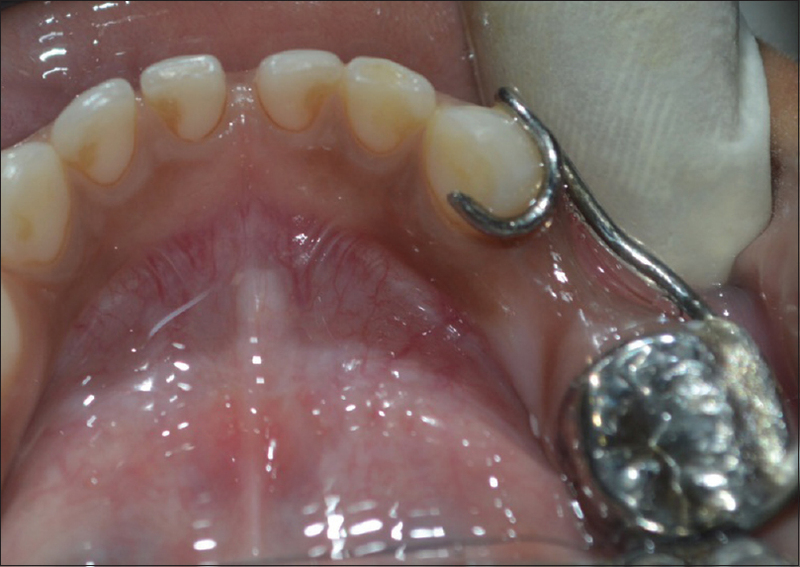 Since 75 had a mild mesial rotation, it was not suitable for a crown with a complete loop. Hence, a Mayne's space maintainer was fabricated. Pulpectomy was completed in 75. Extraction of 74 was done under local anesthesia in aseptic conditions. The post extraction instructions were given, and the patient was asked to report after a week. 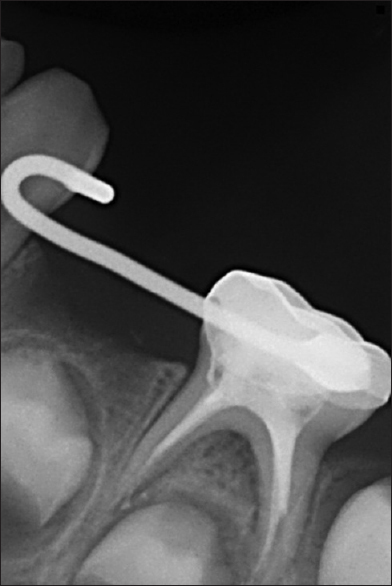 When the patient reported, the tooth was prepared for the stainless steel crown. Size E4 was selected. An alginate impression of the lower jaw was made, and the crown was transferred to the impression. The loop was fabricated on the cast with 19-gauge stainless steel wire. The loop encircled 73 from the center of the lingual surface of the tooth just above the cingulum along the distal surface of the tooth extending buccally, covering the distal one-third of the buccal surface. The loop then extends distally and is soldered to the buccal surface of the crown on 75 [Figure 5]. The Mayne's space maintainer is luted onto 75 with Type I glass ionomer cement. 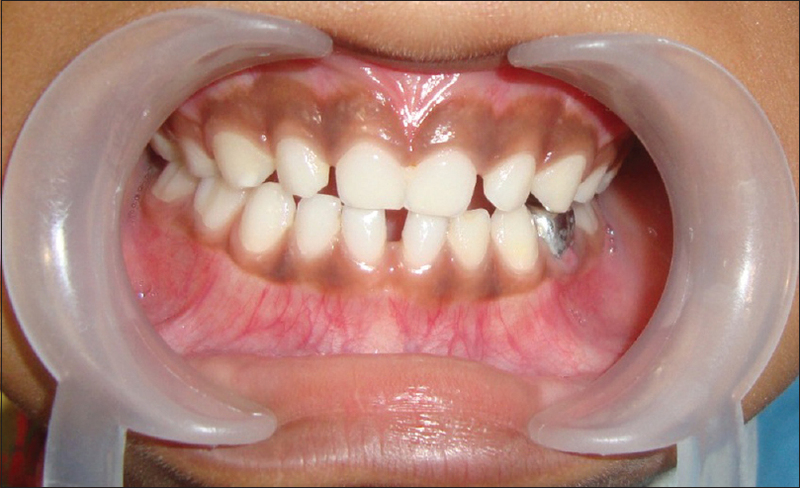 The occlusion was checked [Figure 6] and [Figure 7], and the patient was called for review after a month [Figure 8]. In a patient having mesoprosopic or euryprosopic facial form, end-on molar occlusion, and missing mandibular first primary molars. 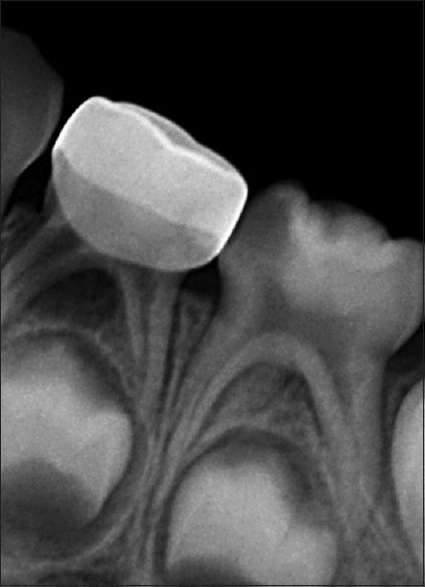 According to this study, the occlusal relationship of the permanent first molar or its eruptive status is no longer the sole factor in this treatment planning decision but should be a component in space management. In spite of varied school of thought, the importance of space maintainer and its modifications is always stressed upon. Mayne's space maintainer, modification of the traditional space maintainer is a unilateral single loop space maintainer and is used in conditions which is predestined for minor adjustments. A case report by Savitri et al. in 2014 proved that Mayne's appliance is clinically successful. 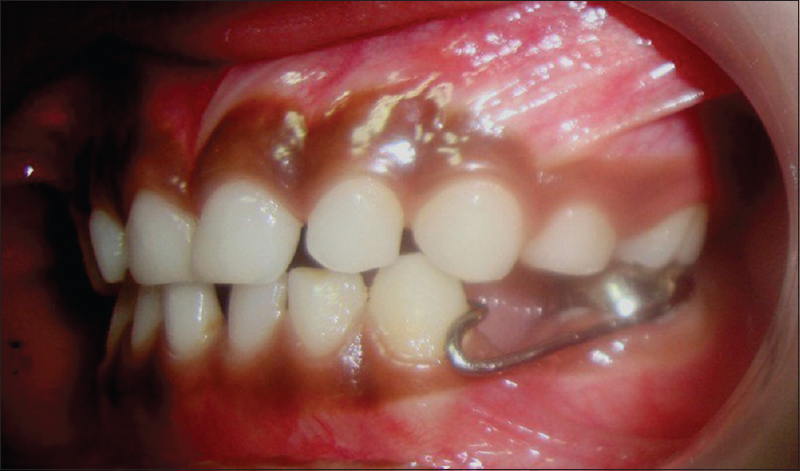 Although few authors question the stability of this appliance and efficacy of the appliance in preventing tipping of the adjacent teeth, this modification can still be used for certain cases. In a case report by Pushpalatha et al. in 2016, a modification of Mayne's appliance was fabricated to correct the tipping of the adjacent teeth. There may be many types of space maintainers and their modifications. The pedodontist plays a cardinal role in selection of the suitable space maintainer based on the clinical condition, oral hygiene, and the cooperative nature of the patient. In conditions where there is difficulty in fabrication of a complete loop, Mayne's retainer can be used as it is easy to be fabricated, convenient for the patient and has proven scientific backup for its success. Baroni C, Franchini A, Rimondini L. Survival of different types of space maintainers. Pediatr Dent 1994;16:360-1. Savitri R, Anandakrishna L, Kamath PS, Ramya M. Mayne's appliance-guidance of eruption: A case report. Int J Med Dent Case Rep 2014. p.1-3. doi : 10.15713/ins.ijmdcr.17. Padma Kumari B, Retnakumari N. Loss of space and changes in the dental arch after premature loss of the lower primary molar: A longitudinal study. J Indian Soc Pedod Prev Dent 2006;24:90-6. Alexander SA, Askari M, Lewis P. The premature loss of primary first molars: Space loss to molar occlusal relationships and facial patterns. Angle Orthod 2015;85:218-23. Pushpalatha C, Mala Devi M, Punitha S, Shwetha G. A custom modified band and loop space maintainer. J Dent Orofac Res 2016;12:30-2.